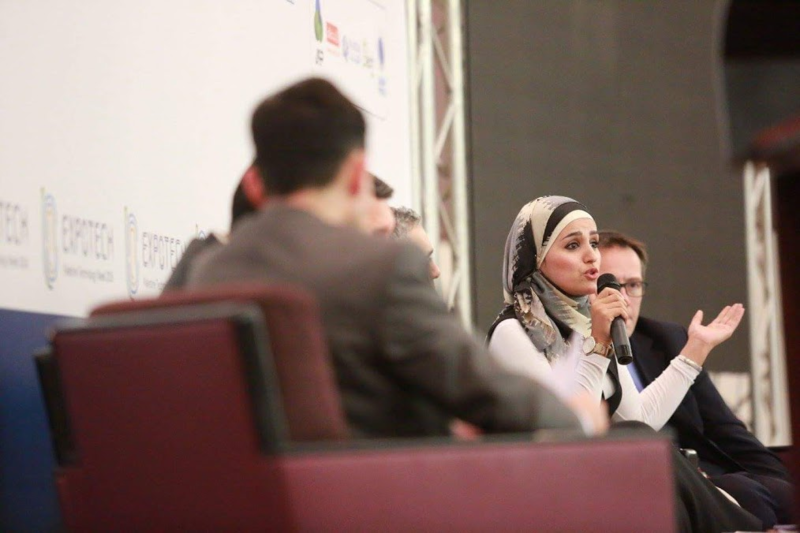 MENA Alliances participated in ExpoTech Technology Conference 2016 - MENA Alliances Group Inc.
On Nov 28th, the CEO of MENA Alliances Group, Abeer Abu Ghaith, participated in a session entitled, “ Innovation and Startups in Palestine” at ExpoTech Technology Conference 2016 held in Ramallah. During the session, the speakers talked about the Palestinian innovation experience; the key enablers for startups; and what makes for a successful entrepreneur. EXPOTECH is a major week-long event that is held annually in the West Bank and Gaza Strip under the patronage of His Excellency President Mahmoud Abbas to expose the ICT sector in Palestine. The event serves as a vehicle for discussing state-of-the-art technological trends locally and globally through an IT Exhibition and a series of “IT Conference Days” which include a Business and Technology Forum. In its 13th year, EXPOTECH 2016 was organized by Palestinian Information Technology Association (PITA) for five consecutive days to showcase the success stories of ICT Palestinian businesses. Entrepreneurs and other businesses were welcomed to a national week highlighting the global technological trends, business and investment opportunities and addressing the continuing importance of building IT awareness and potential growth for innovation and entrepreneurship.